Anyway... an LA trip calls for an LA diet. Meat and veggies, with some carbs in the morning. I'm gonna have to get a little creative. After discovering that romaine lettuce is only 50 cents more than iceburg in the city and way better for wraps, I've been making all sorts of lettuce wraps. My favorite so far: This southwestern take on ground turkey. Cook the turkey and taco seasoning in skillet for about two minutes to get the flavor going in there. Add in salsa and tomatoes/chiles, then corn. Cook until turkey is no longer pink. Drain grease and add in a couple spoonfuls of greek yogurt to make it more creamy. Scoop some into lettuce and enjoy. 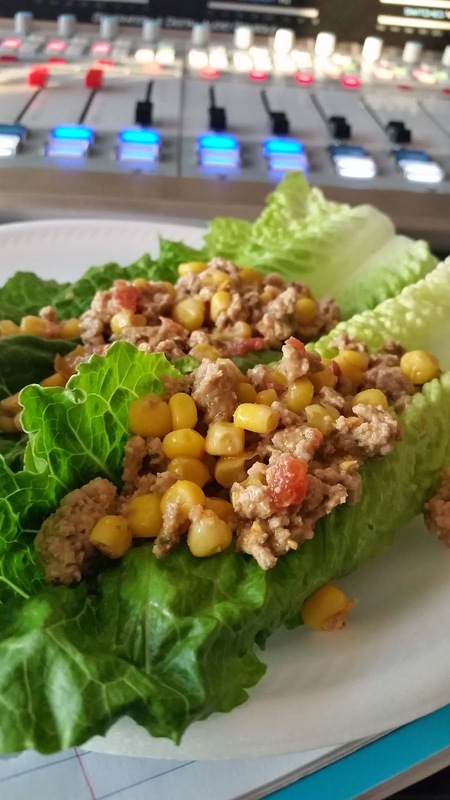 Lettuce wraps are not only delicious and super healthy for you, but the easiest and quickest thing I can make. It takes me 10 minutes tops to make this and be out the door. Plus, this fed me for two nights [and with proper "portion sizes," probably should have lasted another night]. It holds well over a few days, too. If you have any favorite lettuce wrap recipes, help a girl out! I might be sharing a lot of them coming up.